Christmas getting you down? You need cheering up. The Monkey recommends an immediate dose of Christmas funk and soul. 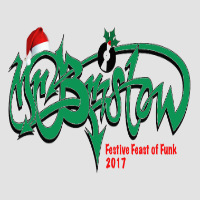 What you need, my friends, is Mr Bristow’s Festive Feast Of Funk, the latest installment of his annual Yuletide mix that has become more of a reason to look forward to December than Christmas Day itself! 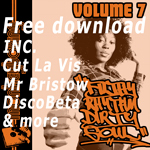 Expect forty-plus minutes of stone cold funky Christmas soul action that assiduously avoids the obvious – even from the famous artists (The Jackson 5, Smokey Robinson and Lee Rogers all feature!) – who are lightly sprinkled among lesser known heroes and heroines like Vernon Garrett and Rose Graham. The whole lot is seamlessly mixed, of course, by the benevolent, chuckling figure of Mr Bristow who ensures extra good cheer by garnishing his creation with seasonal soundbites from the likes of Ali G and Peep Show. Cop your treat below, tracklist below that. 10. Christmas Day – Detroit Jr.